Comedian Louis CK is running an interesting experiment right now that could foreshadow the future of DRM in the video, motion picture and TV business. The experiment worked and the comedian has made a few hundred thousand dollars in a few days. Interested in publishing your video content to as many devices as possible? Get in line. One of the most common themes that emerged in 2011 in the Brightcove community's video strategies is multi-device distribution. Starting with iOS, then Android, then game and connected TV devices. One of the biggest obstacles is content security and Digital Rights Management (DRM). The music industry gradually moved away from DRM after years of headaches for the industry, for technology vendors and most importantly for their customers, the listeners. Major artists like Radiohead and Nine Inch Nails went so far as to sell extremely high quality MP3s or lossless files, with no DRM. At low, free or name-your-price cost. 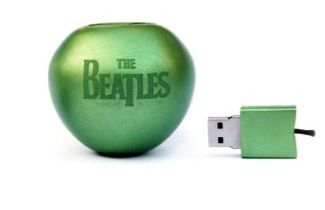 Even The Beatles made their library available in pristine quality on a single USB stick (right). 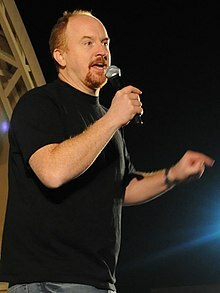 The Louis CK experiment shows that less security, and less friction, can not only be good for the viewer, but profitable for the publisher as well because it leads to more audience. Purchase through PayPal. No crazy paywall, no DRM. The viewer gets streaming access and an unlocked download to play on their phone/tablet/TV/game device of choice. They can play it on an airplane or the train with no live Internet connection. They can share it with a friend or two and perhaps turn those friends into fans. The experiment has been very profitable. I hope this is a sign of things to come. Guess what? People are inherently honest. They are willing to pay for content and convenience. We saw it with music, and we will see it with film and TV. It's just a matter of time. If your business deals require you to implement DRM, Brightcove can certainly help. But if you own your own content, try reducing barriers rather than putting more in place and see what it does to your primary goals.